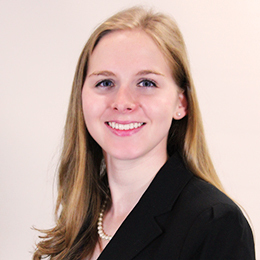 Belmont College of Pharmacy and Aegis Sciences Corporation Clinical Scientist Fellow Dr. Kate Claussen recently became certified by examination in health care informatics. The Certified Associate in Healthcare Information and Management Systems (CAHIMS) is a new Health Information Management Systems Society (HIMSS) health IT certification designed for emerging professionals within the industry. This certification demonstrates knowledge of health IT and management systems, facilitates entry-level careers in health IT and is designed to be a career pathway to the Certified Professional in Healthcare Information and Management Systems (CPHIMS) credential. Belmont’s sponsor of the CAHIMS certification initiative is Assistant Professor of Pharmacy Informatics and Analytics Anthony Blash, Pharm.D., BCompSc, CPHIMS. Blash has created a three-course sequence of classes to prepare Belmont student pharmacists for healthcare informatics and to sit for the CAHIMS certification. The college saw its first students certify at the CAHIMS level in 2015 and expects 20-30 students to certify each year moving forward. Blash has also been invited to teach a “Boot Camp” intensive version of the CAHIMS review at the 2016 Healthcare Summit of the Southeast in September. The conference is sponsored by the Tennessee Chapter of HIMSS and will be held in Nashville.